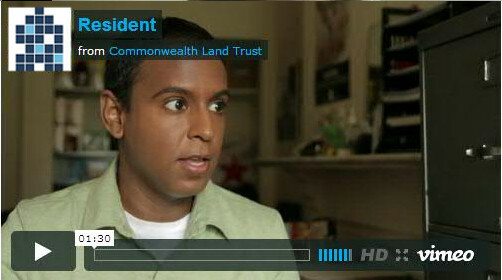 Commonwealth Land Trust acquired eleven apartment buildings in Lower Roxbury in 1989. Totaling seventy (1- to 4-bedroom) units, these properties are centrally-located providing residents with access to shops, public transportation, medical centers, and recreation areas. All units underwent significant renovations in 2003 and feature hardwood floors, updated kitchens and bathrooms, large windows, and traditional fixtures. Twenty-six units are reserved for formerly homeless families and forty-four are available to low- and moderate-income families. To spread awareness of housing opportunities at Lower Roxbury Apartments, please download our Lower Roxbury Apartments brochure. Residents of Commonwealth Land Trust’s Lower Roxbury Apartments benefit from the presence of an on-site supportive housing manager and maintenance team. CLT hosts events for family housing residents, including garden clean ups, concerts, and a holiday toy drive. Bulletin boards and quarterly newsletters inform residents of upcoming building activities and area resources, such as affordable food programs, medical care providers, after-school activities, fuel assistance, and other services. Residents take an active role in shaping their housing through a Residents’ Association that meets quarterly to discuss building and community issues. 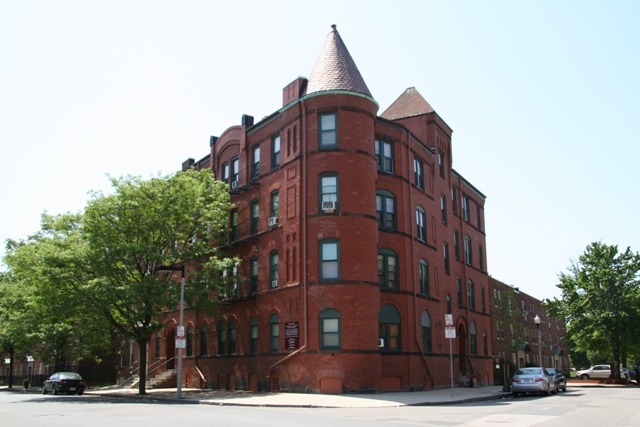 To meet for a housing assessment and tour of our Lower Roxbury Apartments, please contact Beverly Person at 617-445-4075 x205 or bperson@commonwealthlandtrust.org. 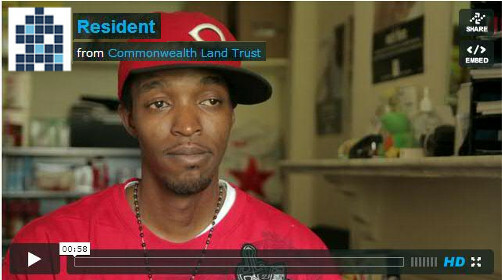 Click on the faces below to watch our residents describe Commonwealth Land Trust housing and supportive services. Click here to watch all of our resident video interviews.